About a week ago I participated in this one competition know as Glorious Trainwrecks. This competition was about creating at least 351 games in a matter of 48 hours. You may ask… “why 351 games” and apparently the reason is because another competition known as Global Game Jam made 350 in the same time period with many more people participating. Rather than try to create the most amazing, massive, epic games possible this competition was more about creating quick, dirty and basically horrible games that are entertaining for about 30 seconds :). Our team at SJSU (from the game development club) made 30 games of the total 520 that were submitted. Of those 30 games, I made sound for 2 games. I had also created a game using Scratch that was rather stupid and hilarious but I couldn’t figure out how to get it to run without going through the Scratch website in time. The first game I worked on was called “Partisan Politics“. 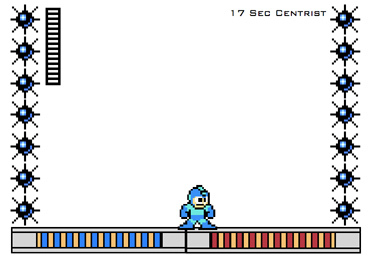 It essentially describes how the US is split in to two parties and you (mega man) are getting pulled from one side to the other into the spikes. The second game was known as “A Normal RPG” (although I prefer the name Revenge of the Something, but whatever :)). Click on the links to download them (you need flash). In other news I am going to GDC this weekend. I will take pics and report back! Also I am going to socialize at GibHub’s headquarters tonight, I will make sure to take many many pics and report back!